There are two things dermatologists can agree on for anti-aging: After sunscreen, it’s a unanimous appreciation for all things retinol. The ingredient is regularly praised as the holy grail for acne, wrinkles, and “glow.” Essentially, retinol is a multitasking superstar—it speeds up cell turnover, encourages collagen production, visibly reduces the appearance of sun damage, lines, wrinkles, brown spots, and even pores. The problem, however, is that the ingredient is equally known for the irritation and drying it frequently causes. It’s also not recommended for use during pregnancy. So it’s no surprise that beauty brands have been looking for an alternative. A number of them have recently adopted a promising new vegan ingredient, bakuchiol (pronounced bah-koo-kee-ol), which is shown to work like a retinol minus the side effects. Bakuchiol is an antioxidant found in the psoralea corylifolia plant (a plant with historic importance in both Ayurveda and Chinese medicine), with “scientific data supporting its use as a less irritating and natural alternative to retinol,” Dr. Shari Marchbein explains. According to a 12-week study published in the British Journal of Dermatology, 0.5 percent bakuchiol cream applied twice daily was as effective as 0.5 percent retinol (over-the-counter retinol, not the prescription version called tretinoin) at nighttime in reducing pigmentation and wrinkles. Those that used the retinol cream had more flakiness and irritating of the skin. So, while prescription-strength tretinoin remains unmatched in its dermatologist-beloved status, bakuchiol is a welcome addition for those of us with sensitive skin concerned we were missing out on the magic of retinol. Plus, it’s safe for pregnancy! 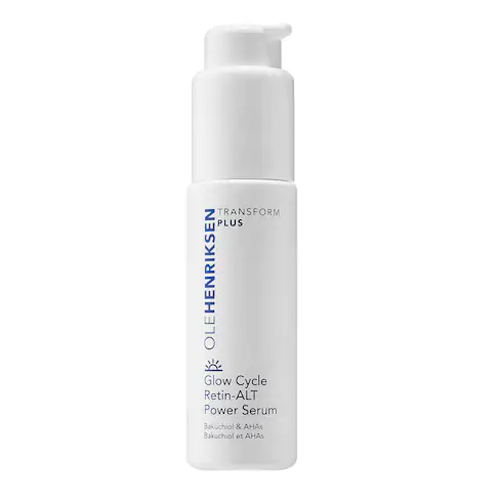 Ole Henriksen Glow Cycle Retin-ALT Power Serum: This new bakuchiol serum is perfect for your AM routine, and the brand also launched a nighttime version called Ole Henriksen Goodnight Glow Retin-ALT Sleeping Crème. Both combine bakuchiol with AHAs and pack a gratifying but mild tingling sensation, plus a very photogenic lavender hue. The serum is intended for AM use to boost glow and skin’s resilience. Slather on the moisturizer at night, and wake up with smooth, luminous skin. StriVectin S.T.A.R. 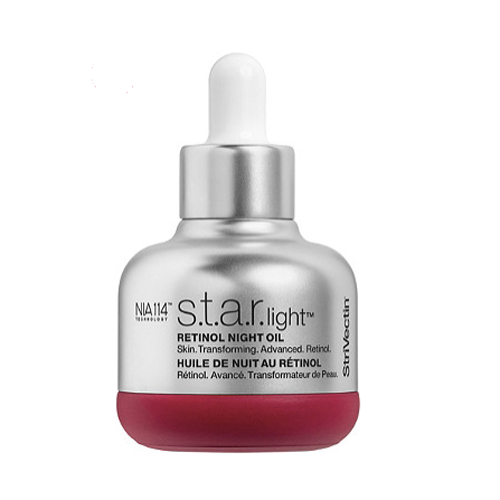 Light Retinol Night Oil: This bright orange night oil gets its hue from astaxanthin, a powerful antioxidant working in cahoots with bakuchiol in this evening formula, which works to strengthen skin, fight fine lines, and boost glow. In this formula, traditional retinol is higher on the ingredient list (and hence, more concentrated) than bakuchiol, though the brand’s patented NIA-114 ingredient works to prevent irritation and makes this a gentle formula. 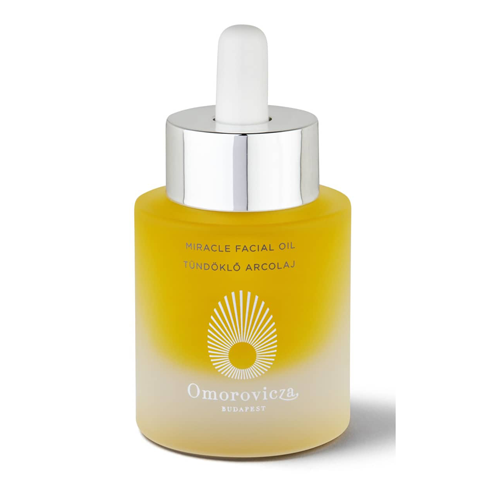 Omorovicza Miracle Facial Oil: A rich-but-not-greasy oil with collagen-boosting ingredients like sea buckthorn and winged kelp—and, of course, bakuchiol. This oil can be used under a moisturizer, mixed in with a serum, or alone to help smooth fine lines and wrinkles and keep skin super soft. Whish Replenishing Day Cream: While many traditional retinol formulas are intended for nighttime use only, bakuchiol does not increase UV sensitivity the way regular retinol does, so it’s perfectly suited for daytime use as well. Find it in this day cream, which also makes a great primer and has soothing chamomile to fight any redness or inflammation. 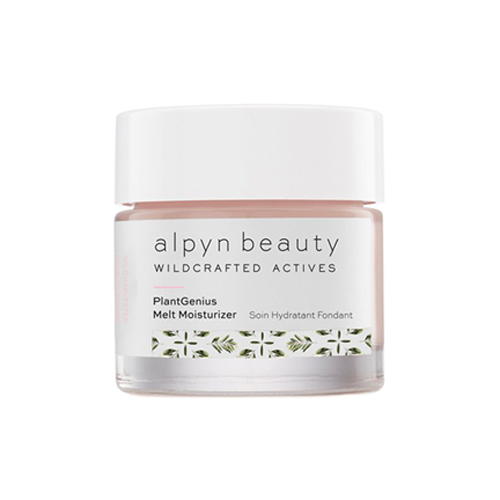 Alpyn PlantGenius Melt Moisturizer: This moisturizer has pretty much everything you could want in a skin-care product. The natural formula (it qualifies to be sold in clean beauty retailer Credo) is made with hand-cultivated botanicals from Jackson Hole, Wyoming, all of which were carefully selected by beauty industry veteran and brand founder Kendra Kolb Butler. In addition to bakuchiol, there’s hydrating, skin-strengthening ingredients like ceramide, squalene, and hyaluronic acid, plus exfoliating glycolic acid and soothing botanical extracts like wild arnica and wild chamomile. 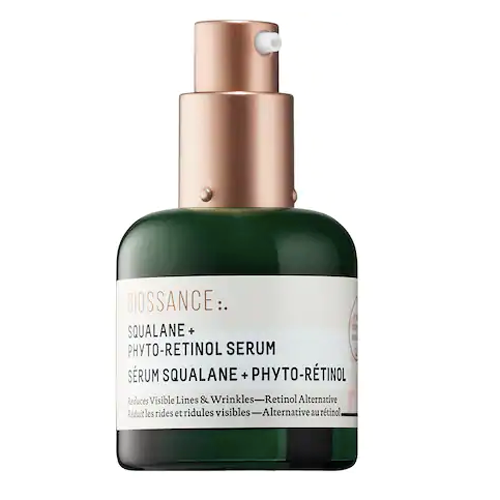 Biossance Squalane + Phyto-Retinol Serum: Another clean formula, Biossance’s concentrated bakuchiol serum works with the brand’s hero ingredient, nourishing plant-derived squalane, plus skin-refining niacinamide and hydrating hyaluronic acid, to reduce the appearance of fine lines and wrinkles and firm skin’s texture. 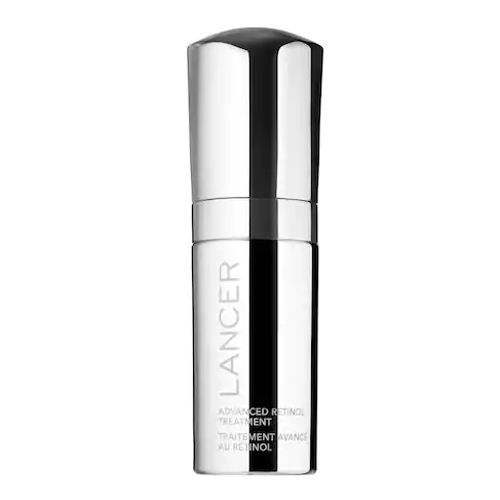 Lancer Advanced Retinol Treatment: A heads-up: This unique formula by celebrity dermatologist Dr. Harold Lancer combines traditional retinol with retinol-mimicking bakuchiol and a soy complex to minimize fine lines and pores. It’s a creamy treatment that you’ll want to use at night. The formula is also fortified with nourishing antioxidants from squalene and prickly pear extract to keep it from drying out your skin.